A Burglar will always go for a house that looks easy to break into. 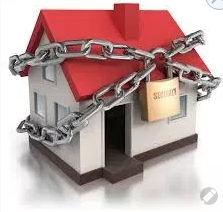 If your home looks difficult to enter the chances are that they will move on, so fit a sturdy visible second lock on your front door as your first defence. Don’t leave spare keys outside. Burglars will be aware of the usual hiding places under the flowerpot or doormat or on a string inside the letter box. Make sure your back door is secure. Criminals usually prefer to enter at the back door as they are less likely to be seen. Most break-ins happen while people are at work so make the illusion that someone is at home by leaving the television or lights on etc. Pop into your local Expert Hardware Store for more advice.